In our efforts to provide the best customer service to our clients, BLM has created a point of contact for each department. Contacting them directly will greatly expedite your inquiry response. Who is my Field Service Manager and/or Asset Manager? Please use this email address if you are currently attempting to test utilities at a property we manage. In addition, please reference our “Utility Activation” tool under our Resource Center. 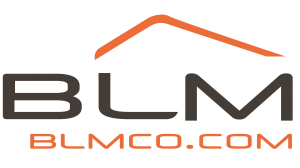 HOADues@blmreo.com – Please use this email address if you have any information in regard to outstanding bills generated by HOA’s and COA’s in the 3P/4D/5D areas. If you are representing an HOA or a COA and would like to notify us of an outstanding bill for one of our properties, please either email or refer to the “Property Concerns Form” under our Resource Center. Please be sure to submit required documentation for timely payment.